Tea Party Princess: Guest Post & Giveaway: Helen Maslin "My So-Called Authorly-Life"
Guest Post & Giveaway: Helen Maslin "My So-Called Authorly-Life"
If you follow me anywhere online, you will have heard me pushing Darkmere by Helen Maslin on everyone. Wherever the book even slightly fits the topic, I manage to squeeze it in. If it doesn't fit the topic, I still mention it anyway because it is amazing. It was my absolute favourite book last year and my love for it knows no bounds. Even better is that Helen is on Twitter and happy to answer questions and be tagged in the hundreds of posts where I mention Darkmere and its many virtues. Leo has invited Kate and a few friends to spend the summer at his inheritance, Darkmere Castle: as wild and remote as it is beautiful. Kate thinks it will be the perfect place for her and Leo to get together - but instead, she's drawn into the dark story of a young nineteenth-century bride who haunts the tunnels and towers of the house. And whose curse now hangs over them all. 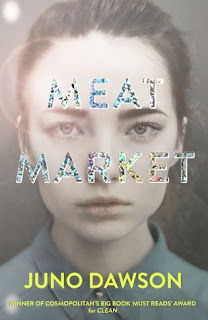 It has been a year since Darkmere was released, and I asked the lovely author if maybe she could tell me a bit about her first year after publication. So here we go... And also, giveaway! God, I love the idea of an ‘authorly-life’ – I imagine it would involve wafting about in floaty scarves and drinking cocktails at literary events, and saying terribly clever things all the time, knowing people will quote you. And my life is almost exactly like that. Because it’s hard enough to fit any actual writing in around the washing-up and the school-run and re-grouting the shower and having arguments with my husband about whose turn it is to take the rubbish out, never mind attempting to do it all whilst half-drunk and tangled up in a scarf. I said I wouldn’t complain. Once, I stayed late at a festival and watched all the portable toilets being hoisted onto a lorry and driven away and I swore I would never complain about having a job that didn’t involve taking portable toilets away and cleaning them. And writing is the opposite – it’s great. You can do it in bed whilst eating biscuits and it makes people think you’re clever. But in the year since being published, I’ve changed my mind about not complaining, because writing a book is hard work. It’s not unpleasant work (festival-toilet-cleaner still wins that round) but keeping going – one word after another – and making sure it all makes sense, with a plot and characters and everything – it’s hard. Husband says he can tell when my writing is going well because I stop complaining that I can’t do it – and start complaining that I don’t have enough time to do it. So, yeah – authorly-life involves a lot of complaining. I’m not sure why, but I feel guilty whenever I’m not writing, including on weekends, holidays and at night-time. As if I’m not committed enough – or something. Lots of other authors seem to feel this too. After all, if Patrick Ness can come up with at least one prize-winning book every single year, why can’t the rest of us? Why – whyyyyy? I’m making my authorly-life sound rubbish, aren’t I? a while, writing became all about speed and professionalism and never letting anyone down. Trouble was, when I tried to write too fast, the end result wasn’t as good as it should’ve been and I stopped enjoying it. I had to really concentrate on finding my own pace again – and making the words good enough for me to feel proud of them. Ironically, since being published I’ve met a few of the more famous authors who write better and faster than me and they’ve told me about the stress and insecurity and crippling deadlines that come with the big money publishing deals – it doesn’t sound all that tempting. Hmm... besides the completely obvious things I learned i.e. – to enjoy the writing and stop comparing myself to Patrick-bloody-Ness all the time, I suppose the main thing I’ve learnt in the last year is that I’ve only just started learning things. Every book will be different and every one will be hard work. I’m happy to keep at it, though. I got to see my name on the cover of an actual book. And it was as exciting as everyone said it would be! I loved the cover art, the tagline, the hearts around the chapter headings, the font – everything. Seeing it in bookshops was brilliant. Signing books with my special authorly-signature will always be weird – but it’s a nice weird! The week before my publication date, I went on holiday and got badly bitten by midges. It was my own fault: I bragged about how I never get bitten and refused to put any insect repellent on – and a whole swarm attacked me. There were bites all over my arms and face. Even my eyelids turned into giant itchy lumps. Over the next few days, I had a reaction to the bites and they tripled in size and went bright green and poisonous. I have – genuinely – never looked more disgusting in my life. That’s when someone recognised me. I was on the way back from the doctors with armfuls of antibiotics and antihistamines, when a woman came right up to me and told me she’d seen my picture in the local paper. I watched her face fall in slow-motion as she saw how hideous I was in real-life. That moment was far from being one of my best moments. where I live. Helene, the owner, had ordered a whole box of Darkmeres and decorated the window with props from the story. There were balloons and flowers and speeches and cupcakes and champagne – the whole thing was fabulous. I was a bit nervous about being the centre of attention, so I drank my wine far too fast... before discovering I shouldn’t have mixed it with all the antibiotics and antihistamines I was taking for my horror-bites. Anyhow, I ended up clinging on to the bookshop counter for support and giggling a lot! Several people gave me books they’d written, assuming I would be able to get them published. I’d heard that this would happen, but it was still totally unexpected – I mean it’s blindingly obvious I have no high-powered contacts or influence over anyone. I can’t even make my own children pick their clothes up off the floor. But as soon as my book was published, neighbours and friends-of-friends showed me their poetry or picture books. All I could do was tell them how much I liked their books and then feel a bit guilty for not owning a publishing house. I’m worried that I won’t be able to get my own next book published, so I can hardly help anyone else bypass the tortuous submissions-and-rejections process. I still hate thinking up titles. It doesn’t get any easier. All authors hate choosing titles. Apart from the author Emma Pass who loves them. She has a notebook full of titles waiting for stories to be written around them. And sooner or later all the other authors are going to form an Ocean’s Eleven-type gang and steal that notebook. I did my first ever school visit. And the Imposter Syndrome was strong! Angela Stone, the librarian of Pates Grammar School invited me to visit on World Book Day and give an author interview. There were spotlights. A microphone pack. A blow-up of my book on the screen behind me. Even a reserved parking space with my name on it. God, I wished I was important enough to have merited that kind of attention. By the time the hall had filled up with hundreds of year tens, I was shaking ALL OVER! I was interviewed by Caitlin Devlin from year 12 and I have very little memory of anything I said. Although I’m pretty sure I didn’t come out with any of the anecdotes I planned beforehand. I got through it by pretending to be a properly famous and important author – and I fully intend to become a properly famous and important author so I can be less of a fraud retrospectively. with only one book after my name on the programme. I asked another author, Sharon Jones, if I’d feel like a proper author when I had two books to my name... and she made a sort of snorting noise at me. I asked Keris Stainton, who’s written eleven books, the same question and she did exactly the same snort. So I guess that’s a ‘no’ then. People asked me how my book was selling. This is another thing I was warned about, but still gaped when it happened. People I barely know have asked how many copies I’ve sold and how much money I’ve made and why my book isn’t available in Tescos/Airport/local newsagent/other. And every time, I’ve wanted to turn the question around and demand to know their salary, but I’ve never had the nerve. Because this is a question that only applies to writers apparently. There was no way I was going to ask after that. Besides, the not-knowing fits in with my policy of simply enjoying the writing. I went on one of those amazing promotional trips abroad. Still feels like I imagined this one. My publishers paid for me to fly to the beautiful German city of Leipzig for a weekend of book signings and interviews, of aeroplanes and hotel breakfasts, of Aperol Spritzes and huge marble bathtubs, of meeting the friendliest bloggers and wandering around the biggest, busiest book fair until it felt like my eyeballs were going to pop out. I also had the longest book signing queue I’ve ever seen in my life! Seriously. It was worth writing the book for this queue alone. In the run-up to publication, I felt as if everyone was supporting me on social media – which was lovely. Dozens of bloggers told me they were eager to read the book and posted photos of early copies in bookshops all over the country. There were also reviews full of praise or pictures of teenagers reading it at their breakfast tables. Before Twitter, books must have been published into relative silence and their authors probably didn’t get much feedback, so I felt incredibly lucky. Some writers told me life would seem a bit flat when social media moved on to the next new author, but I didn’t feel that way at all. I think it would be daunting to be celebrated endlessly – like JK Rowling. Although the whole fanfare did make me determined to write another book so I could experience it all over again. It was impossible not to read every reference to my book in the first few months after it was published. Short reviews... long reviews... reviews that made no sense and reviews that gave away the entire plot. I read them all and thanked the writers of the complimentary ones. Because they inspired me to go on writing. But I’ve learnt that reviews are not really for the author and I genuinely try not to look for them anymore because I’m concentrating on just enjoying the writing! The worst reviews? Maybe I was luckier than most, but every less-than-glowing review really did seem to say more about the reviewer than the actual book, which made it easier for me not to be upset by them. And the best review was yours, of course. I still get teary when I read it and believe me – I’ve read it a lot! Especially the bit where you were shaking. SHAKING. 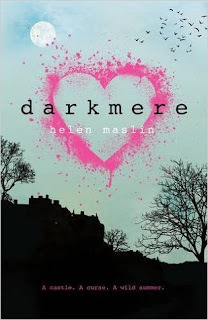 If Book Depository ships then you could win 1 paperback copy of Darkmere by Helen Maslin. I've been hearing about Darkmere for a while, and I honestly didn't know what to think. I've read YA books, but I'm not really an expert. This author-insight was super! I really liked the author's sense of humour and her view of life. Now I find myself eager to read his work. Thanks, Cora.